Valencia cited my piece with @KennedyMaritime in @ForeignAffairs, but that's a 2016 publication. The latest is here: andrewerickson.com/2019/01/the-ch… & apdf-magazine.com/maritime-numbe…. Instead of piling on @GregPoling, let's "Seek Truth from (Many) Facts" regarding #China's #MaritimeMilitia. And while we're at it, can those in the know give us the full scoop on #IPPReview? "operated by International Public Policy Pte. Ltd., a Singapore-registered company which is independent of any organization"
Wording sounds rather abstract & mysterious.. Per the business profile of International Public Policy Private Limited (201543731N) from Singapore’s Accounting & Corporate Regulatory Authority (ACRA), Chinese National MO Daoming (G44707348) is its Managing Director. "the Institute of Public Policy (#IPP) of South China University of Technology (SCUT)..was jointly established by Mo Daoming, Li Yuanyuan, former SCUT president & now president of Jilin University & Prof Zheng Yongnian w/ E.Asian Institute of the National University of Singapore"
He is especially interested in... constructing a #mechanism for #China to #speak #its #authentic #voice with international vision. This is why he established IPP." "In October 2011, with support of #SCUT, Mo donated 50 million yuan to establish #IPP and invited Professor Zheng Yongnian from the East Asian Institute of the National University of #Singapore to serve as the academic #host of the new-born institute." Prof. ZHENG Yongnian = Shareholder #2, after MO Daoming. Dr. Zheng's #IPPReview articles incl "Asia’s Future: Become Another Middle East or Avoid #SouthChinaSea War"
"arbitration case initiated by the Philippines & the recent ruling... by The Hague court have raised a..? : will Asia become another Middle East?" "Despite high pressure from the US, China has shown unwavering strength. US intervention in the #SouthChinaSea issue has cost it dearly in most dimensions." "#China’s leaders have faced increasingly high pressure from the military and society for not taking any efforts in the South China Sea. It will not be wise for Xi not to respond." "I want to warn the world about an unprecedented danger that’s threatening the very survival of open societies. …I’ll focus on #China, where President #XiJinping wants a one-party state to reign supreme." "Xi is trying to consolidate all the available info about a person into a centralized database to create a 'social credit system'..people will be evaluated by algorithms that will determine whether they pose a threat to the 1-party state. People will then be treated accordingly." "#China is not the only #authoritarian regime in the world, but it is undoubtedly the #wealthiest, #strongest & most developed in machine learning & #AI. This makes #Xi the #most #dangerous #opponent of those who believe in the concept of #OpenSociety." People the state considers troublemakers may be sent to jail—or sent on vacation. Chinese #netizen slang: "whenever law enforcement frames people, or otherwise conscripts them into an activity, the prefix bei is used to indicate the passive tense. Hence: bei loushui (to be tax-evaded), bei zisha (to be suicided), bei piaochang (to be johned), and so on." "In a joke [Chinese liberals—educated urbanites] liked about the 2016 U.S. election, a bunch of eunuchs are so appalled by the bawdy quarrels among the married folk that they congratulate themselves: 'How fortunate we are to be castrated!'" The US should regain the strategic initiative by laying down a “Googleable” trail of online info rapidly accessible to all, particularly when China's #MaritimeMilitia rises to the forefront. To preempt and counteract propaganda, the US must get out in front of the #PAFMM problem with its own authoritative statements, including a fact sheet and an encounter documentation website. Open-source researchers, including @ChinaMaritime Studies Institute @NavalWarCollege, have already published extensive scholarship to help reveal #China's #MaritimeMilitia. The Office of Naval Intelligence @USNavy could be asked to fill in the gaps. Beijing is increasingly integrating Pakistan into its military system to fulfill its global ambitions. Meanwhile, India refuses to sell Brahmos to Vietnam for fear of upsetting China. China is not reciprocating India's actions. #Huawei is allowed to bid for the 5G network. Conscious Western efforts to retard its growth & access to hi-tech supply chains, Beijing has adopted an overtly benign tone with its neighbors. These are, however, cosmetic tactical measures & China’s ambition of developing “a kind of military force system” has not changed. A former employee of #TrumpCastle accuses #Trump of discrimination. The World Bank loans China money interest free. As they did the US under Obama. Yet, they have now raised interest rates on the US 7 times since Trump took office to slow his explosive economic growth. Why? Because Obama agreed to submitting the US to China while we crumbled. #China will attempt a forceful unification with #Taiwan by 2021, the centenary of the Chinese Communist Party. Xi's grand dream of national rejuvenation entails unifying all that #CCP considers Chinese lands, especially Taiwan. This THREAD looks at this potential scenario. The legitimacy of the #CCP regime under Xi is based on the twin pillars of economic growth and nationalism. 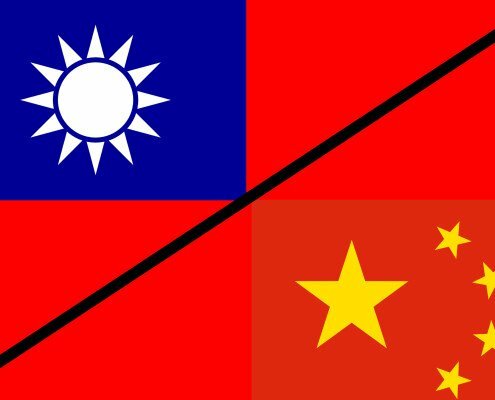 For the party-state, unifying the mainland and Taiwan is critical to its aspirations of national rejuvenation and erasure of national humiliation. Why would PRC force a unification as early as 2021? 1) 2021 is the centenary of the #CCP; anniversaries and dates have massive symbolic importance in China's political culture. 2) Xi wants unification to be part of his legacy. This is the only way that he can outshine #Mao.